St. Paul's Episcopal Church is an inclusive congregation. 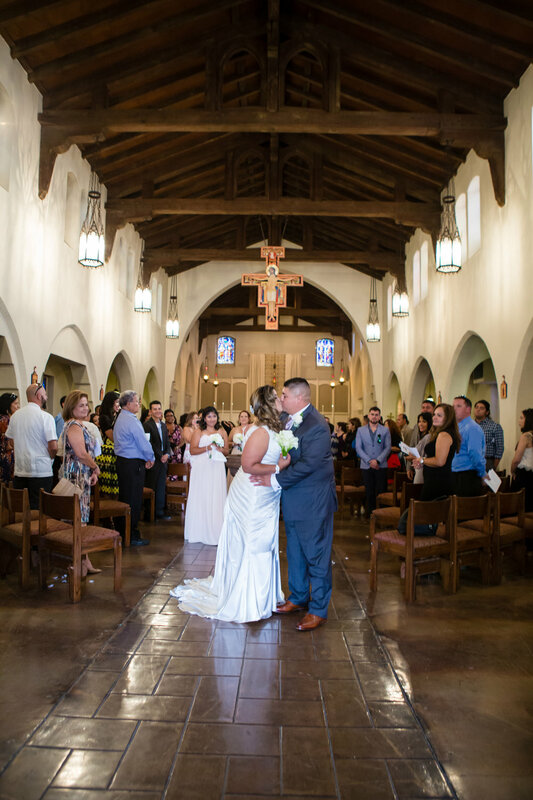 Our venue is located in the historical neighborhood of Lincoln Park in Pomona, California. It has a Spanish Colonial architecture that includes thick stuccoed walls, red tile roofs, exposed wood beams, high ceilings with a courtyard. It makes the perfect setting for hosting weddings, quinceaneras, birthday parties, staff retreats, meetings and much more. 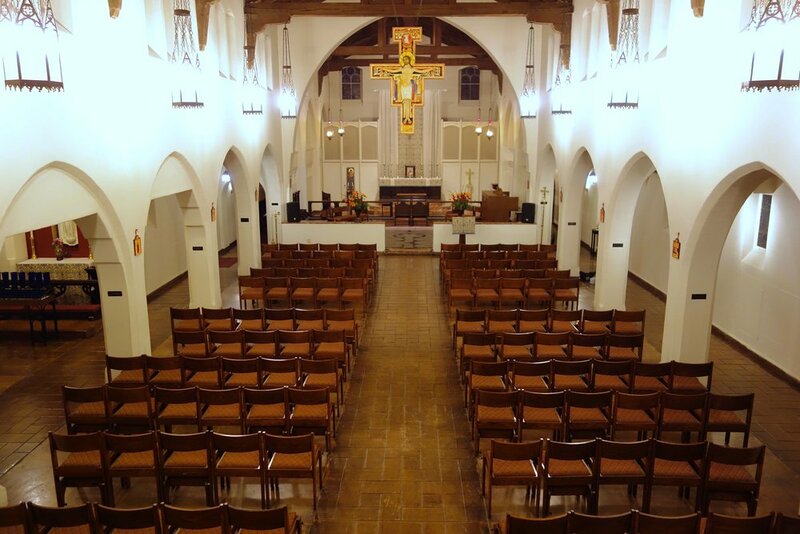 The Church: The church has a capacity for 150 guests for religious ceremonies and community meetings. You do not have to be Episcopalian to use our church and can choose to have your own officiant perform the ceremony. Parish Hall: The hall has a capacity for dining/seating of 120. For assembly type meetings, business retreats, or performances, the capacity is approximately 150. This hall includes a stage, kitchen, tables and chairs with rental. The Sophia Room: The Sophia Room is a meeting space with a capacity of 40 that can be used for on-going meetings, buffet setup, cocktail hour or lounge. Current layout is included or can be cleared out for separate set up. Courtyard: The courtyard has a capacity of 80 people. Can be used for outdoor weddings, cocktail parties, sip & paints, art galleries and much more. For more information or schedule a tour contact us at (909) 729-8494.